> Mostly an all out Gamez Newz Talk show today with my knowledge and opinions.....ENJOY!!! 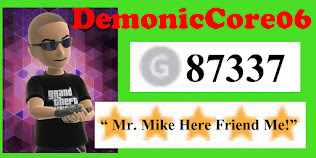 Mr. Mike Here going to be playing Or should I say making a level in Super Smash Bros. Ultimate? Yes you heard it SSBU Level Maker is Now a thing and you can get pretty creative in making your own fun Super Smash Bros. Levels, that’s if you’re Not trying to make dicks! I will be showing off a little bit of level maker in Smash Bros. while also playing a few of my other levels that I creatively made…. Cough… cough………ENJOY!!! > Talking about the soon coming out Avengers Endgame release and when I Mr Mike will be going to see the 3hr+ film, My short Moto g7 with Google Fi Review, Slowly Working-out Plan-Getting back into the gym, TV/Film Talk Newz.......ENJOY!!! Mr. Mike Reviews my NEW Moto g7 smartphone from Motorola/Lenovo with Google Fi. Used this phone for a month and 2 weeks, I now will give my knowledge and opinions about the Moto g7 make & use, and my review about my New provider Google Fi from Ting! Will this be the right smartphone for you and your wallet? 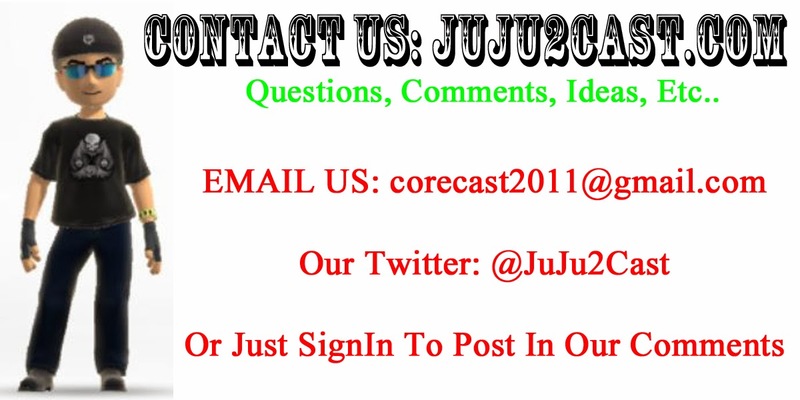 Find out here with my Full review………………….ENJOY!! Mr. Mike Here going to be playing a fun and interesting game called TABS or Totally Accurate Battle Simulator on Steam, Only costing me $14.99 + Tax to get this crazy fun pre-release of this sort of a game if you can really call it one….. So sit back and watch me make epic battles with groggily eyed characters… OH & P.S. Sorry but in most of the beginning of the video I forgot to un mute the game sound so all you will hear is my crappy toned voice sorry! But redeemed myself later by enabling it for the rest of this video……………………ENJOY!!! > Haven't really played anything worth while but will get back onto the couch to play again! E3 Incoming Talk, & Gamez Talk Newz!!! > Talking All Gamez Talk News in this pop-up Bonus podcast for Yall!, Still doing construction on my kitchen but making a bit of time to deliver a nice bit of a podcast..............................ENJOY!!!! Mr. Mike Reviews my NEW LG - UK6190 Series 75” 4K LED – HDR10 TV, showing off the basics you want and need from a NEW TV and NOT any of those other app gimmicks that come with smart TVs today. I will be showing off the main unit front to back, its features, and even the box it came in!............................ENJOY!! P.S. If there is anything that you want to know more about or if you think I have missed something in my video review let me know! VIDEO: Mr MIke Streams Crackdown 3! 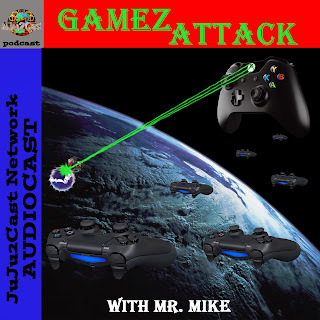 PODCAST: GamezAttack AudioCast #321 Mario Crackdown! > Played a Bunch of Crackdown 3 this weekend and with all the Love & Hate.... Mostly Hate for this game here is what I Mr. Mike thinks about Crackdown 3! "Here comes the Boom! ", Plus the Nintendo Direct just dropped during the week What Big News Just Happened?, Then The Gamez Talk Newz.................ENJOY!! 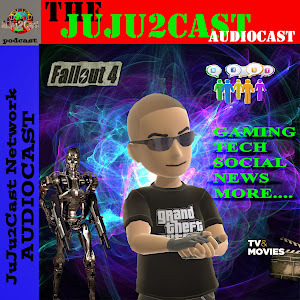 PODCAST: JuJu2Cast Audiocast #322 Upgrade Everything!